One of the most useful features of macOS lets you see your files from newest to oldest. Are deleted images in Apple’s Photos gone for good? I accidentally deleted the “All My Files” folder under Finder/Favorites. Now I can’t find it! Any way I can get that back? You can re-enable special items that appear in the Sidebar via Finder Preferences. All My Files is one of the most useful features in the Finder for my virtual dollar. 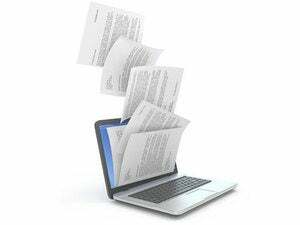 It shows all files on your Mac, defaulting from newest to oldest. The setting for it is slightly hidden. 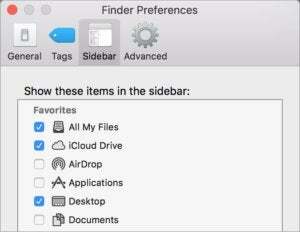 In the Finder, choose Finder > Preferences, and then click Sidebar. That’s where you’ll find checkboxes for all the things you can have icons for in your Sidebar. If you delete one of these special item from the Sidebar—hold down Option and drag it out—you should be able to restore it just by visiting this preference pane and checking its box. However, I’ve seen on some machines that once the item is missing it’s persistently gone. That might mean preferences corruption, and that can sometimes be cleared by restarting. If not, you might need to reinstall the system, not from scratch, but the “install in place” option that puts all the right files back in the right place.